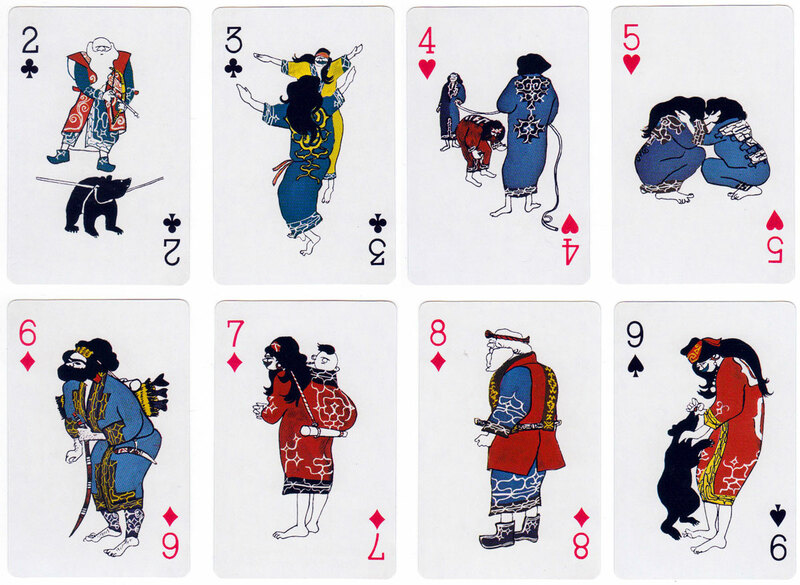 Above: Ainu playing cards by Nintendo, 1979. 52 cards + 2 jokers. There are two different decks of Ainu cards; this deck is sometimes referred to as "Ainu I" to distinguish it from the second deck, sometimes referred to as "Ainu II." The court card designs are different in the two decks. Images courtesy Rex Pitts. 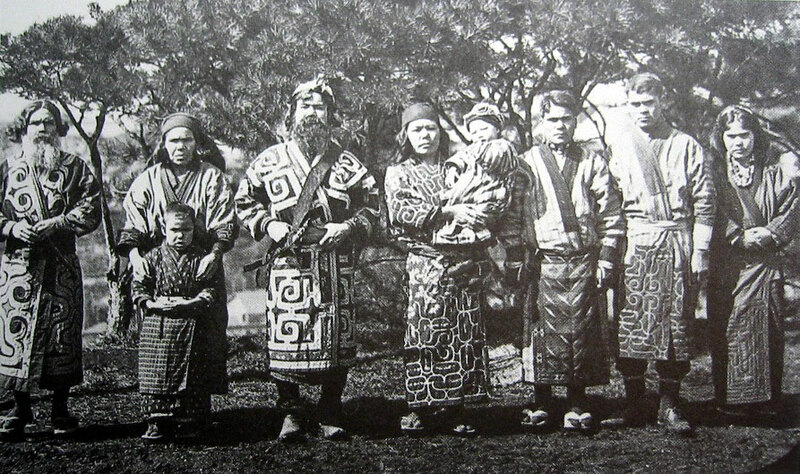 Above: a group of Ainu people.